H&M collaborations can barely stay on store shelves and clothing racks, just ask Albert Elbaz for LANVIN or Donatella Versace for VERSACE. “The Girl With The Dragon Tattoo” collection by Trish Summerville for H&M opened its doors at 72 Gansevoort Street in New York City on December 14th 2011 for a 3-day Pop-Up Shop event. With every passing day, merchandise passed through the store exit at an alarming speed. Things moved so fast, there was barely any time for thought. 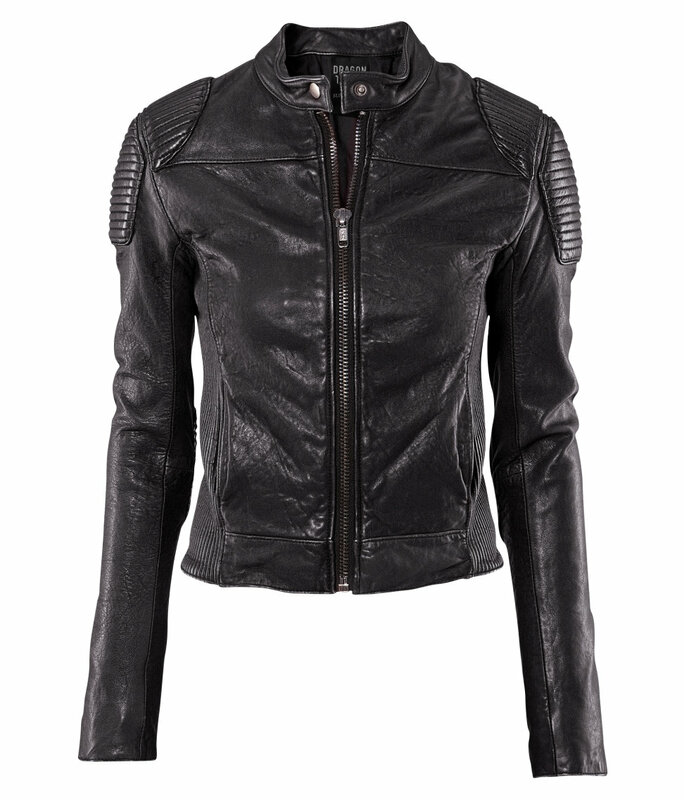 In one of my over-analyzing episodes, I let a crucial collection piece slip my fingers; the leather motorcycle jacket. In an effort to regain possession of this jacket, I searched the only place I knew to find a second chance; eBay. There were many vendors, but the auctions were so stressful with its constant need for careful vigilance, frantic bidding and competition being nothing short of cut-throat. But alas, I found one vendor (Yuvaltamar) with the BUY IT NOW option. After checking the vendor’s 100% positive feedback, eBay Buyer Protection Policy and the selling details of an untouched, fully tagged authentic brand, I immediately made contact. The vendor was very informative, offered a tracking number with the item and entertained any further inquiries I had. Upon receiving the jacket, I immediately opened the package. Inside was the H&M bag-handle peaking from the top, making it easy to just pull the bag and unveil the jacket. It was an emotional moment, and with glossy eyes, I held the coveted Trish Summerville motorcycle jacket that almost got away. The smell of the leather evoked a nostalgic experience to that amazing day I entered the Pop-Up Shop. The jacket and tags were exactly how I remembered. This is without a doubt the best eBay buy of the year. Ahhh I’ve been searching for that jacket too! I’ve been searching eBay, but I’m not sure what size to get. Is it true to size? It looks a little on the short side, I wish it were still in stores so I could try it! I am typically a US size-4 in H&M, but the Trish Summerville collection was a size smaller, so I had to buy all my items in a size-6. Depending how long your arms are, the sleeves are kinda long, but you can just push the sleeves up and still look cool. You’re not going to find another motorcycle jacket quite like it, believe me, I’ve tried to finding a replacement and there is none on the market as of now.